The last time we discussed weird things dogs do, we covered bed spinning and grass eating. You can find that post here: Why Do Dogs Do That? Let's face it, our pets do some strange things. So in what is becoming an occasional topic, I give you "Why do dogs do that? Volume 2". 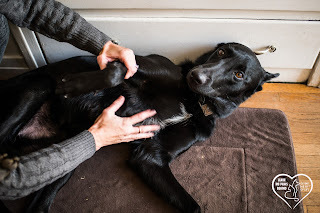 Today we will cover 3 strange things your dog does, leg kicking when you hit that "spot" on the belly, the adorable head tilt, and one of the grosser things they do, roll in stinky, nasty things. Why does your dog kick his leg when you hit the "spot"? You know that spot, when you are scratching his belly, and all of a sudden his rear leg seems to kick uncontrollably. What is that all about? What causes it, and why does it happen? It's called the scratch reflex. It is an involuntary reaction. The spot that you are scratching irritates the dog, much like a fly or the wind does and makes the dog flinch. That spot is connected to the spinal cord and sends a message to the legs to kick and get rid of the irritant, similar to a fly swatter. Much like your own doctor may test your reflexes by hitting your knee with a hammer, a veterinarian can use this spot to check for nerve or neurological issues. 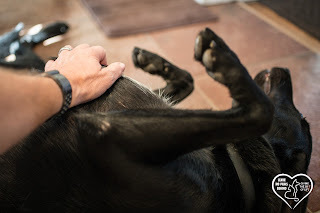 With that said, if your dog loves belly rubs, don't stop, keep rubbing! It doesn't get any cuter than the puppy head tilt. As a photographer, I have been known to do some pretty silly things to try and illicit the head tilt. Prior to Carbon (the dog above) my other dogs are not head titers, and I am jealous of those who have dogs that are so animated. So what is it, and why do they do it? There are several different possibilities as to what it means, but the a popular possibility is that it appears to be similar to the human shrug or saying "huh?" when you don't quite understand something. 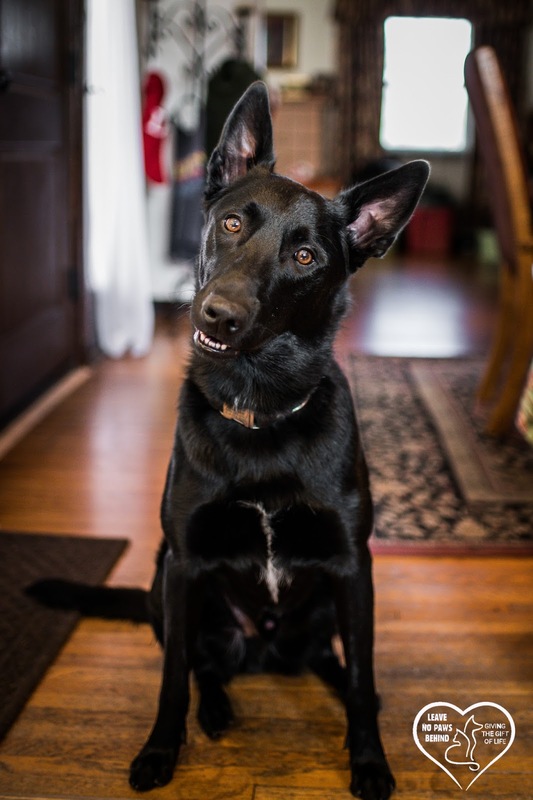 It is the dog's way of trying to interpret what it just heard, something they don't quite understand. Another popular idea is that it could be the dog showing curiosity or interest in what is happening. And finally, we will discuss this last one without the use of visual aids 😁. So why does your dog like to roll around in stinky, rotten, indescribable things, most likely right after you take him out of the bath tub? The most popular theory is that it appears to be a way for the dog to disguise himself. In the wild, if prey were to smell a dog coming, it would bolt and the dog would go hungry. So the dog tries to hide or mask it's own scent with that of something more familiar/common. Another possibility is that a dog's sense of smell is the most dominant sense. As such, it is a way for the dog to make himself more presentable to other dogs, kinda like a person putting on their fancy clothes and a splash of perfume. I hope you enjoyed this edition of "Why do dogs do that?". We will do it again soon, and we will add cats to the mix.